NOT REALLY, ONLY “75 & SUNNY” TODAY. WE WALKED THE RIVERWALK IN LAUGHLIN THIS AFTERNOON IN SHORTS AND T-SHIRTS. I EVEN HIT FOUR 5’S FOR $62.50. EVERY WINTER FOR THE LAST 20 YEARS I’ VE WRITTEN A BLOG OR E-MAIL TO BRAG ABOUT THE JANUARY WEATHER HERE ON THE LOWER MOHAVE DESERT. I TRY TO TIME THESE POSTS WHEN YOUR WEATHER IS THE WORST, AND I THINK TODAY QUALIFIES. STAY WARM AND SAFE OUT THERE !!! THIS WAS THE FOURTH YEAR THAT YELLOW RIVER FRIENDS, MARK & JAYNE, FLEW TO NEVADA FOR THE MLK HOLIDAY WEEK-END. THIS YEAR’S AGENDA INCLUDED FREMONT STREET, VALLEY OF FIRE, AND MESQUITE. IN MESQUITE THEY HAD A CAR SHOW THAT INCLUDED 900 CARS, WHICH WE ENJOYED WALKING THRU. ANOTHER HIGH LIGHT OF THE TRIP WAS HAVING MARY WITH US THIS YEAR, WHO HIT TWO $100 JACKPOTS IN THE SAME DAY PLAYING NICKEL MACHINES. LOOK WHO ELSE I FOUND ON FREMONT STREET. IT’S BEEN 10 YEARS AND WE HAD A FEW COLD BEERS IN HONOR OF OUR DEPARTED FRANKVILLE FRIEND,DC. THIS IS FOR ALL MY OLD TEACHER FRIENDS…..
LAST WINTER I MADE SIX TRIPS TO LAS VEGAS AND STAYED DOWNTOWN ON FREMONT STREET. THIS WEEK WE MADE TRIP NUMBER THREE FOR MARY AND ME IN FIVE WEEKS. IT’S THE 4 QUEENS CASINO AND HOTEL THAT MAKES ALL THESE TRIPS POSSIBLE BECAUSE THEY HAVE LOW ROOM RATES, NO PARKING FEES, NO RESORT FEES, AND THEY OFFER A DISCOUNT WITH YOUR PLAYERS CLUB CARD. WE HAVE BEEN STAYING FOR $36/NIGHT. ON OUR FIRST TRIP WE WERE EVEN UPGRADED TO THE SOUTH TOWER FOR FREE. OUR FIRST OBJECTIVE IS TO GET OUR DAILY STEPS, WHICH IS REALLY EASY TO DO IN VEGAS. IN FACT THIS WEEK WE WERE BOTH JUST SHORT OF 20,000 STEPS THE SECOND DAY. WE USUALLY JUST STAY DOWNTOWN ENJOYING THE $3 BUD LIGHTS AT THE THREE BOYD PROPERTIES, BUT YESTERDAY ON THE WAY OUT OF TOWN WE DECIDE TO HIKE ON THE STRIP. WE WERE ABLE TO CATCH THE CHRISTMAS SHOW AT THE BELLIGO GARDENS WHICH NEVER DISAPPOINTS. WE STOPPED TO REST AT THE COSMOPLITAN CASINO SPORTS BOOK AND I ORDERED A BUD LIGHT ON TAP, IT COST $10 !!! MARY HAD A CLUB SODA $5, AND THEN THERE WAS $1.24 SALES TAX ADDED TO THE BILL? GOOD GRIEF, NO WONDER I HATE THE STRIP !!! 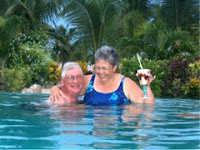 OUR FOURTH TRIP IS LESS THAN TWO WEEKS AWAY WHEN WE MEET MARK & JAYNE, FROM DES MOINES, FOR THEIR ANNUAL NEVADA TRIP.